[PRESS RELEASE] London, UK – 18 October, 2017: Sold Out is excited to announce that it has partnered with Terrible Posture Games and Grip Digital to publish the physical console versions of first-person bullet-hell shooter MOTHERGUNSHIP in 2018. Arriving on PlayStation®4 computer entertainment system, Xbox One and digital PC, MOTHERGUNSHIP is the spiritual successor to 2014’s Tower of Guns and features intense, unrelenting first-person gunplay and an exciting weapon customization system that lets players create their own destructive armoury, plus some of the biggest bosses in FPS history and procedurally generated rooms and enemies for seemingly-limitless gameplay. “MOTHERGUNSHIP is over-the-top old school shooter fun, and I want players to laugh out loud when they play it,” said project director and Terrible Posture Games founder, Joe Mirabello. “Working together with Grip Digital, we’ve taken everything we liked about Tower of Guns and amped it up while also making major improvements to all the stuff we didn’t like. 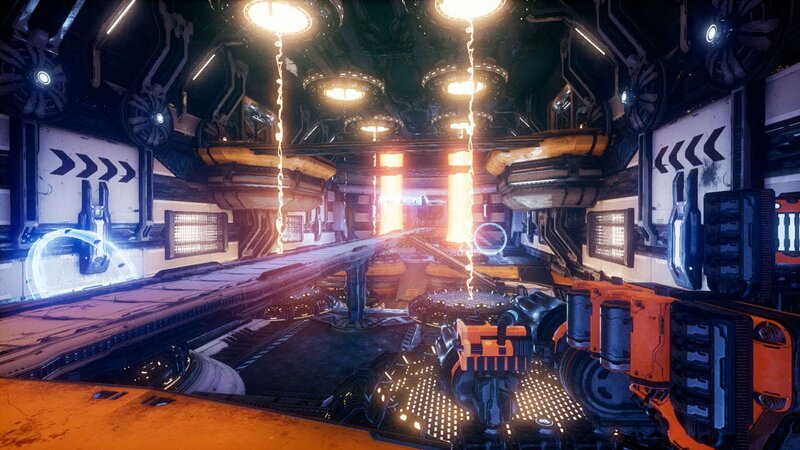 The result is an even bigger and better game in MOTHERGUNSHIP and with Sold Out’s help we want to reach the biggest audience possible.” For more information on MOTHERGUNSHIP, please visit mothergunship.com. Twitter, or subscribe to the mailing list. Terrible Posture Games is essentially just a guy named Joe. He worked in the triple-A games industry for nearly a decade before he decided no one else was going to make the crazy games he wanted to make. His brother Mike steps in to help out with music and the occasional sound effect and Joe’s wife might as well be a producer, since she makes sure Joe’s not wasting development time on things no one will ever care about. GRIP Digital s.r.o. is a privately owned developer and publisher of games for consoles and high-end portable devices. Based in Prague, Czech Republic, the company was started by industry veterans who worked on games across all major platforms. GRIP is working with the top independent developers to bring their games to console platforms. For more information, please visit www.grip-digital.com.